Nancy has been cooking since she was a young girl growing up in the suburban Illinois town of Naperville. After graduating with a degree in textiles and clothing from Iowa State University she married and moved overseas for three years where she continued to perfect her cooking and entertaining skills while building an appreciation for foods of the European Continent. 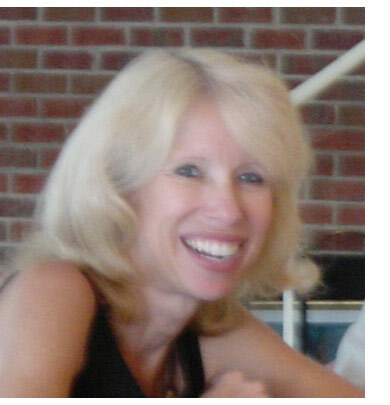 Having travelled to some 30 countries and every state of the US she now happily resides in Hickory, North Carolina with her husband and daughter, where she is a freelance author and internet marketing professional. The idea for the cookbook was borne some 25 years ago when she fell in love with the way the military families shared their food and their lives as they moved from one place to another quite often. This sense of sharing and generosity always tempered with a keen interest in health and fitness has been the passion that drives her cooking, entertaining and writing. for two, of relaxing and romantic meals at home, of lifestyle change... A Bride's Cookbook now in it's second edition, has been updated to include the best of today, while not forgetting it's history rooted in a simpler life. Now available in both downloadable and bound versions A Bride's Cookbook is more convenient and accessible than ever before! Perfect for Wedding Gifts, Wedding Shower Gifts, First Anniversaries, and even Engagement Gifts this book is a proven hit with those either just starting out married life or those trying to get a fresh start all over again! Order one as a gift and one for yourself! 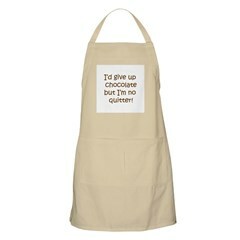 Spice up conversations in the kitchen or around the BBQ with this tasty-looking apron (made of high-quality cotton twill, it's rugged and wears great too). Ideal for cooking, baking, grilling or bartending, it's perfect for foodies of all sizes. Simply slip the apron over your head and pull the waist-level drawstring to tighten it around your neck and waist. Two generous pockets hold utensils and more. Go to www.givitup.com, click on custom section to provide your own design or saying and we'll make it for you, no extra charge! Available in white, khaki, and yellow.